The Volvo V60 is already just about perfect, which means the V60 Cross Country, unveiled today, is probably only going to be better. It sits higher off the ground, all-wheel drive comes standard, and the suspension is tuned for better performance off-road, among other improvements. A regular V60 would probably do just fine on that once-every-two-years camping trip you take, but the V60 Cross Country will do all of those things just a little bit better, while sitting about three inches higher off the ground. Other standard features include Hill Descent Control, which functions much like the E-Pedal on a Nissan Leaf, allowing for one-pedal driving up and down steep hills; Corner Traction Control, which can reduce understeer on turns; and Volvo’s automatic emergency braking system, which the company says can detect large animals, cyclists, and pedestrians, in addition to cars. You’ll also be able to get the V60 Cross Country through Care by Volvo, the company’s subscription service, but pricing has not been announced, nor delivery dates, though you can expect both later this year. The 2018 V60 starts at $38,250, so you can expect the new V60 Cross Country to be something north of that. 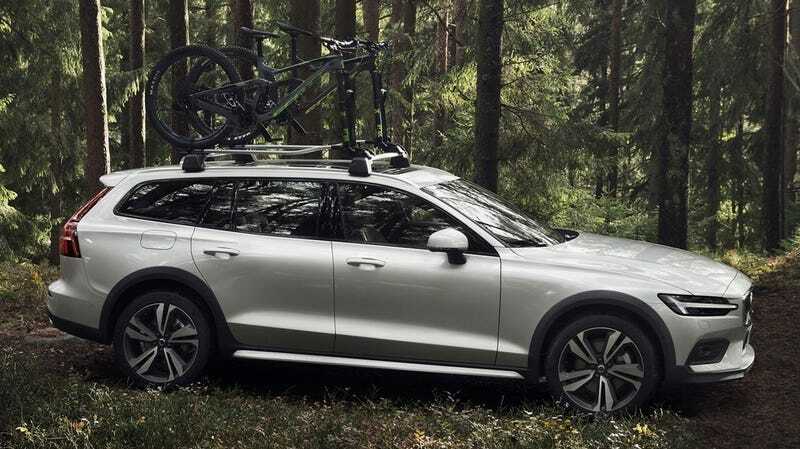 Volvo’s Cross Country wagons occupy a niche corner of the market, and I like to imagine that they’re partially intended for people who wear hiking boots on an everyday basis, even though they work a desk job. Who doesn’t want all the capability you can get, but in shoe and wagon form? You never know when you’ll need it.